A primary school trip to a UK theme park provides a mix of fun and education in equal measure. Our choice of theme parks offer a schools programme and a wide range of curriculum linked resources for use prior, during and after your primary school visit. Educational talks and workshops are also on offer, providing opportunities for learning across the curriculum. 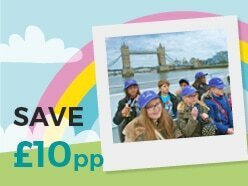 If you’re looking for a fun-packed primary school trip idea for activity week, a class reward for hard work or even to encourage team working skills, then a theme park school visit is a great option. Fire your pupils with excitement and enthusiasm as they learn about maths, science, conservation, business, ICT and design technology first hand. Facts, puzzles, challenges and interactive experiences make these primary school educational trips a most enjoyable way to learn. The World’s First Rollercoaster Experience Fusing Wood with Fire! Wicker Man is a multisensory rite of passage guaranteed to get your heart pumping and senses tingling! Join the chosen ones on the world’s most immersive rollercoaster experience to date, unifying cutting edge special effects with classic wooden coaster technology for the first time! ! The Resort is home to an awesome choice of world first rollercoasters – enjoy G-forces greater than a space shuttle on the legendary Nemesis, brave Oblivion’s iconic vertical drop, ride The Smiler’s 14 loops or satisfy your need for speed on Rita – hold on tight! Younger guests will love exploring favourites at CBeebies Land including Postman Pat Parcel Post, Mr. Bloom’s Allotment, Justin’s House Pie-O-Matic Factory and the In the Night Garden Magical Boat Ride. Plus, with some of CBeebies’ most popular characters to meet, it’s the perfect place for children to learn, play and inspire their imaginations. With over 50 rides and attractions, Alton Towers Resort is the UK’s number 1 theme park. With a wide range of educational talks available from KS2 to KS5. The educational talks are approximately 45 minutes in duration, with time available at the end for questions. There are free resources available to download online which can be used to enhance your class visit. With 18 talks to choose from, subjects include; Mathematics for KS2 and KS3, Geography, History, Travel and Tourism, Business Studies, Design and Technology, The Science of Rollercoasters, ICT, Customer Service, Road Safety for KS1 and KS2 and Science and Citizenship: Snacks, Shelter and Safety for KS1 and KS2. ‘New for 2018 at the Alton Towers Resort, an interactive workshop exploring the amazing wooden construction of our new rollercoaster experience, ‘Wicker Man’, and an immersive talk on the psychology of a ride experience unlike any other. Learning through enjoyment is the ethos THORPE PARK Resort is championing to teachers and students alike. Our goal is to harness students’ excitement and provide the framework to challenge and inspire them. 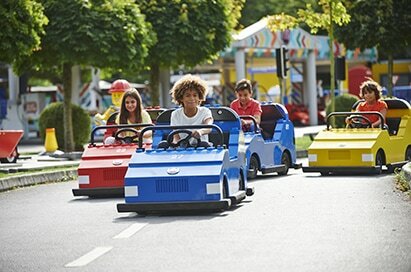 Take a walk on the island’s wild side and enjoy over 30 rides, live events and attractions to choose from inside the Resort, including our family favourite, ANGRY BIRDS LAND with 4D Experience and Dodgems. NEW FOR 2018, THORPE Education Daily Talks! A 30 minute talk from a choice of STEM or Business subjects for KS3, KS4 or KS5. 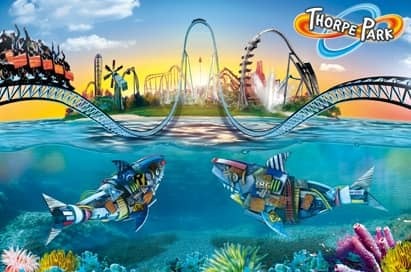 THORPE PARK Resort provides opportunities for learning with a range of curriculum-linked educational workshops including Marketing THORPE PARK Resort, THORPE PARK Resort as a Business and The Science of Roller Coasters. You’ll be able to download risk assessments for free and educational resources to lengthen your pupils’ experience. 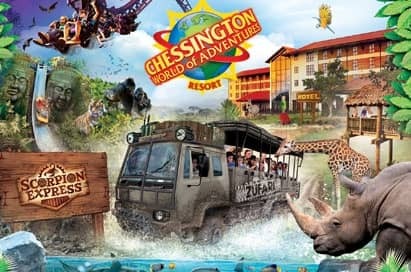 To assist with pre-visit planning, THORPE PARK Resort will provide two complimentary teacher tickets to the park once you have confirmed your booking.